I am the CEO of the World's Most Valuable Business — My Family! I live in Bainbridge, Indiana, with my amazing wife and six of the coolest kids on the planet – three boys and three girls. 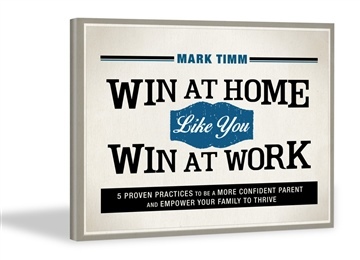 I help leaders leverage their business success to win at home. I am also the President & CEO of the company I co-founded 15 years ago, Cottage Garden, Inc. We are the #1 supplier of musical gift products in North America.